The Aircraft Technician is responsible for carrying out maintenance tasks on Emirates and third party aircraft components in accordance with laid down procedures and regulations. The Aircraft Technician will work as part of a team under the direction and guidance of the assigned Licensed Aircraft Engineer within the trade disciplines for which they have been trained. Engineering. 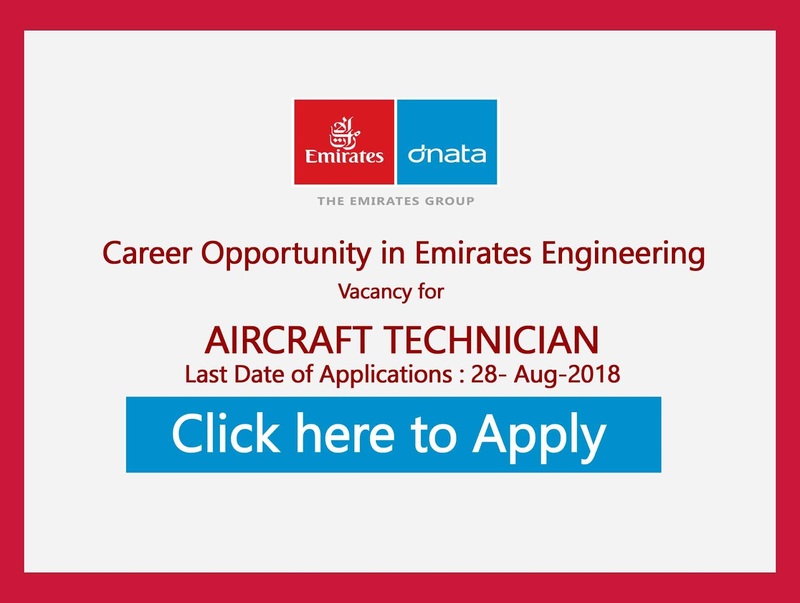 Other : 5+ Years Vocational or Diploma (12+2 or equivalent) : National / Higher National Diploma (12+2 or equivalent) or Apprenticeship in Mechanical, Electronic, Avionics or Aeronautical Engineering or equivalent training with a reputable airline or an approved maintenance organisation. Experience post basic training in an Aircraft Maintenance environment or 5+ years experience in Structures or Component Maintenance for the applicable workshop. Knowledge/skills: Must be able to hold a valid Airport Driving Permit. We offer an attractive tax-free salary, paid in Dirhams, the local currency of the UAE.